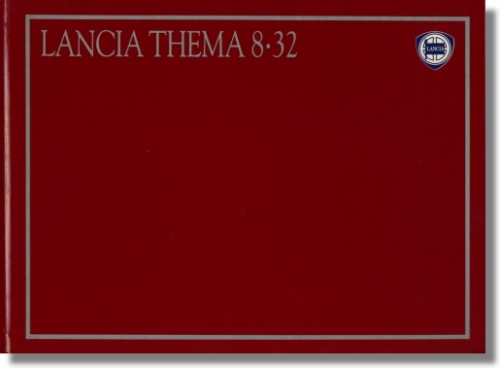 1987 Lancia 8.32 Hardcover Sales Brochure - French. 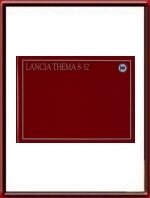 Measures approximately 12 x 8.5 inches and unfolds to 4 times that size. 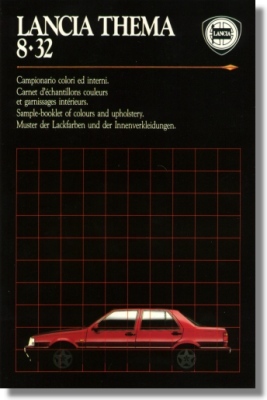 Includes the brochure with paint, Alcantara & leather samples (print number 18.59521.72 - III/87). Print reference: 06.5.9489.6 - VII/87, dated July 1987.